If you have any questions about the Hull C04 information page below please contact us. 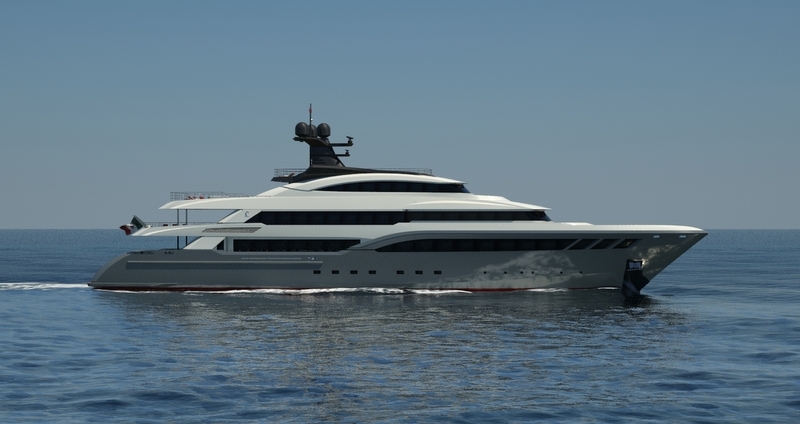 With launch in 2016, the 68m Custom Classic Yacht Hull C04 by Columbus Yachts is a beautiful vessel, constructed by the respected Italian shipyard, Palumbo. 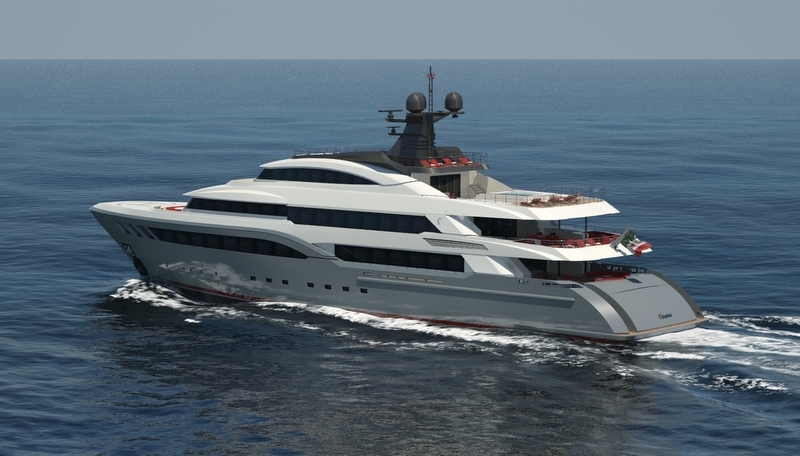 With naval architecture as well as design by Sergio Cutolo’s Hydro Tec, luxury motor yacht Hull C04 boasts elegant and streamlined exterior lines, mixed up with spacious and airy interiors. 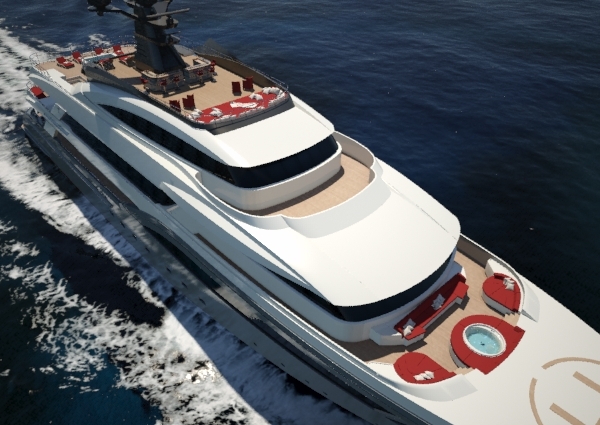 Accommodation aboard Columbus superyacht Hull C04 is provided to 10 to 12 guests in 5/6 magnificent staterooms, including one full-beam VIP and the rear-facing owner’s suite on the upper deck, with its own private deck-space. The vessel is managed by a highly trained crew of up to 18 professionals. 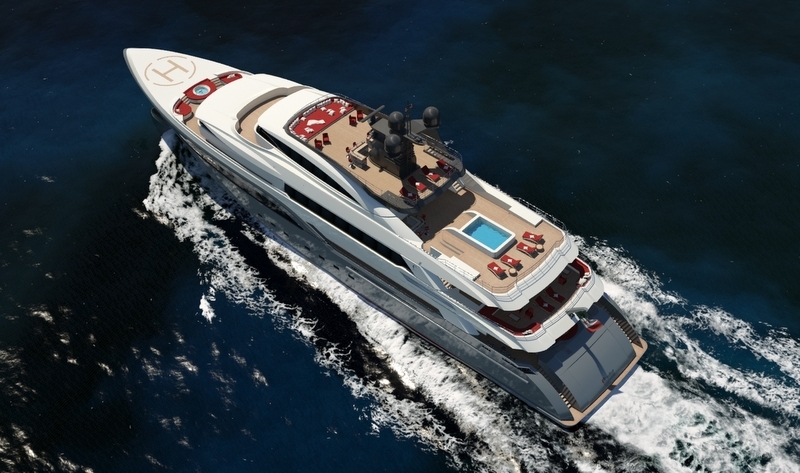 Hull C04 features all the luxury amenities of a superyacht, such as Spa Pool, helipad, cinema, spa, as well as beach club. 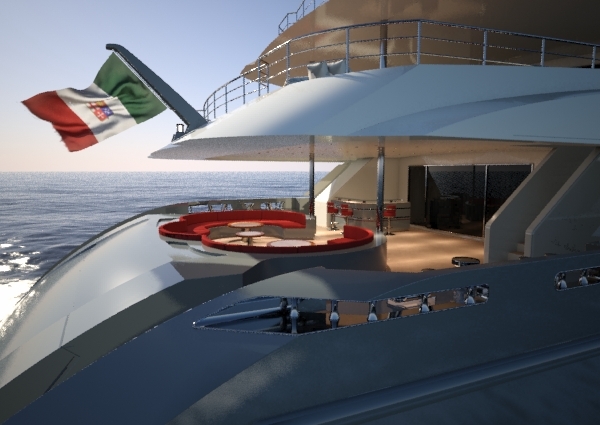 All decks can be reached by a guest elevator and the vessel also houses three yacht tenders. Made of steel and aluminium, the 68-metre Classic luxury yacht Hull C04 is run by twin diesels, reaching a maximum speed of 16,5 knots and a cruising speed of 15,5 knots. Her beam is of 12,8m. In addition to complying with ILO standards, the 68m Custom Classic Hull C04 includes numerous sustainable solutions developed in compliance with top classification society’s eco-friendly recommendations. Columbus Classic Yacht Hull C04 can accommodate 10 to 12 guests in total. 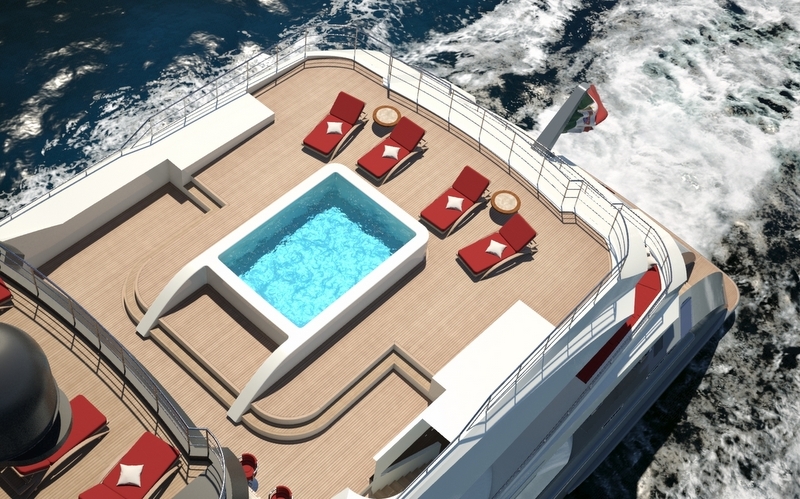 She offers 5/6 well appointed staterooms, including one full-beam VIP and the rear-facing owner’s suite on the upper deck, with its own private deck-space. Service aboard is provided by a professional crew of 18. We do have available further amenity, owner and price information for the 68m (223') yacht Hull C04, so please enquire for more information. The luxury yacht Hull C04 displayed on this page is merely informational and she is not necessarily available for yacht charter or for sale, nor is she represented or marketed in anyway by CharterWorld. This web page and the superyacht information contained herein is not contractual. All yacht specifications and informations are displayed in good faith but CharterWorld does not warrant or assume any legal liability or responsibility for the current accuracy, completeness, validity, or usefulness of any superyacht information and/or images displayed. All boat information is subject to change without prior notice and may not be current.